The management of the Federal School of Surveying, FSS, Oyo, has released the names of candidates offered provisional admission into its various OND programmes for the 2017/2018 academic session. 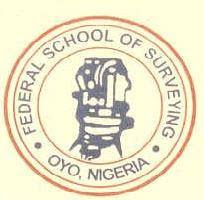 Federal School of Surveying Oyo Admission List. The under-listed candidates have been offered Provisional Admission into Federal School of Surveying, FSS Oyo, ND programmes for the 2017/2018 Academic Session. Successfully admitted applicants are to accept the admission offer in JAMP CAPS Platform and print out their admission letters. The National Diploma (ND) candidates who have been offered provisional admission in the school are to come and collect their acceptance letter upon payment of a non-refundable fee of N20000 to the school REMITA account. Collections ends on Thursday 29th of Match 2018.